3 Bdrm 2nd flr Flat. Ground flr: V/bule. Reception hall. Lounge/Dining rm. Kitch. Bdrm. Bathrm. 1st flr: 2 Bdrms (CT band - E). Garden. 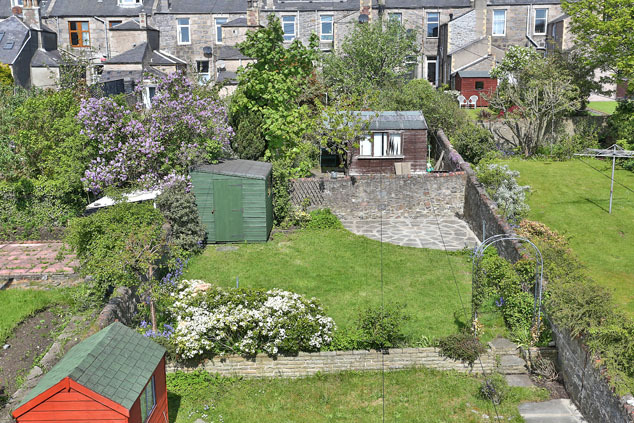 Price over £268,000 Entry by arr. Viewing contact solicitors. Below Home Report Valuation (EPC band - E). Situated in a desirable location with a variety of amenities close at hand including shops, cafes and convenience stores, as well as the Garthdee Retail Park only a short journey away, we are delighted to offer for sale this well presented three bedroomed flat forming part of a traditional granite building and with delightful outside space. 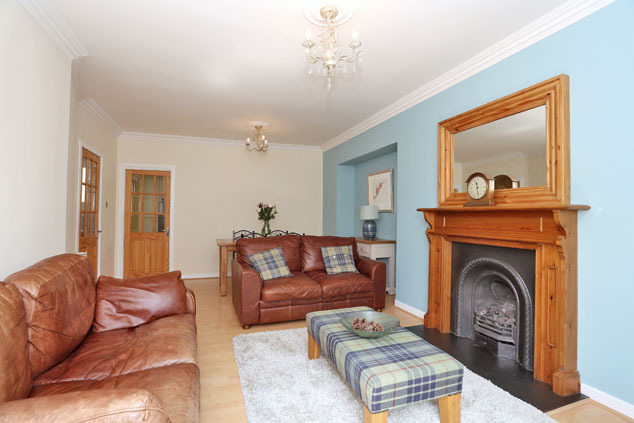 Finished in fresh décor throughout, this attractive home comprises a welcoming reception hall with some lovely features and leading onto the bright and stylish lounge with dining area and easy access to the elegant kitchen. 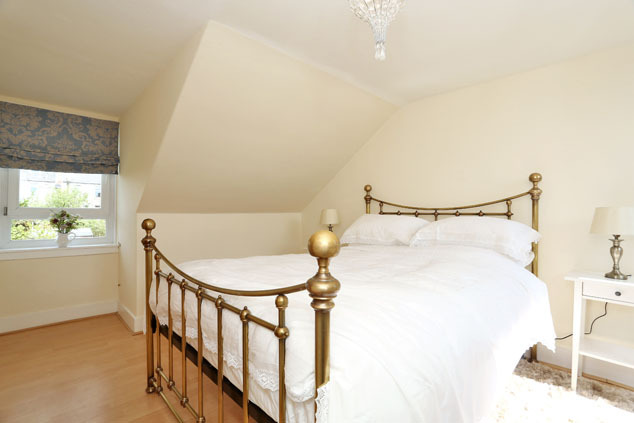 Completing the lower floor is a double bedroom with built-in storage and a traditionally styled bathroom. 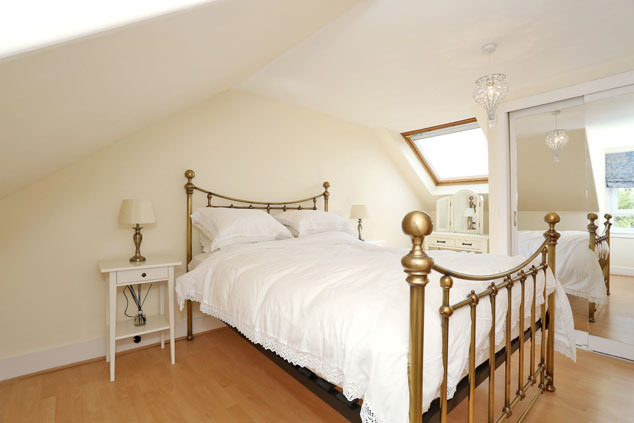 On the upper floor, there is a generous double bedroom with views over the rear garden and a final bedroom with excellent storage. 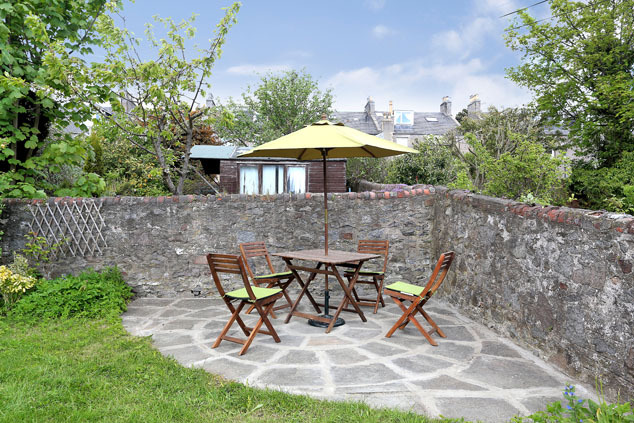 Outside, the flat boasts an exclusive area of garden to the rear incorporating a decorative patio area which is a lovely spot to sit out. This is undoubtedly an appealing property which will interest the discerning buyer and therefore early viewing is genuinely recommended to appreciate the superb location and standard of accommodation on offer. 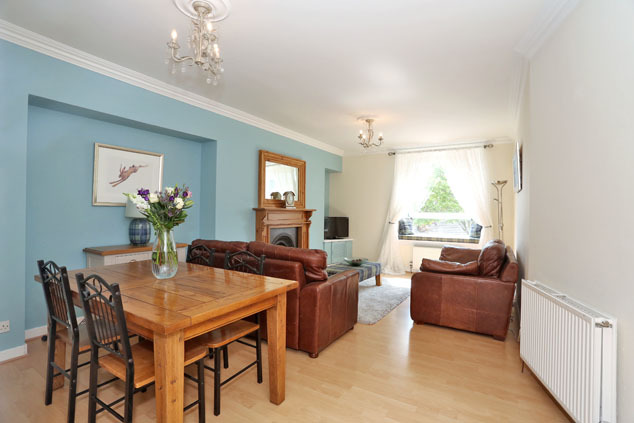 Abergeldie Terrace is located in a very popular residential location, with the city centre being only a short walk from the property. 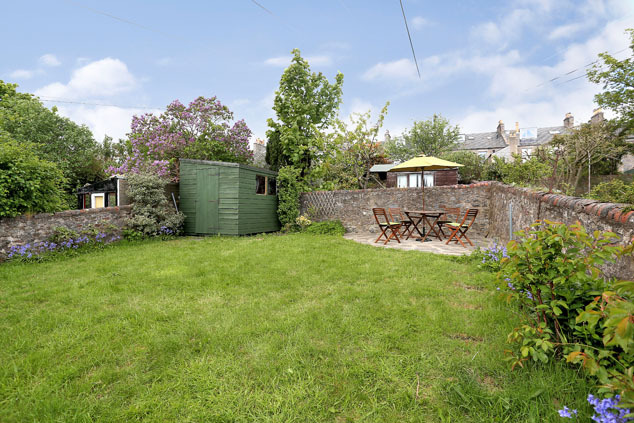 A wide range of local amenities are close by and the subjects are within walking distance of the shopping centre at Bridge of Dee with its superstores and the Robert Gordon’s Campus at Garthdee. 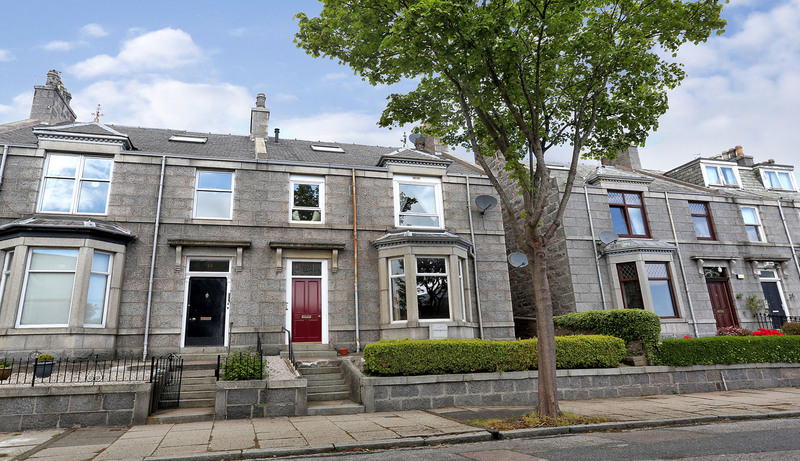 Regular public transport is readily available to many parts of the city and Anderson Drive is close by, therefore giving easy access to the business centres to the north and south of the city, the hospital complex at Foresterhill and Aberdeen Airport. Lovely riverside walks along the Dee and Duthie Park with its renowned Winter Gardens are within walking distance. Entrance Vestibule A traditional style timber panel door with decorative stained glass number plate above leads into this shared entrance which has fresh, neutral décor and original Victorian tiled flooring. A low level cupboard conceals the fuse box and electric meter. Reception Hall A solid wood door opens onto a carpeted staircase with decorative wooden balustrade and turned spindles which curves round to the reception hall. The décor is neutral with features including cornicing, halogen spotlights and pine panel doors leading onto all of the accommodation. Smoke alarm. Lounge/Dining Room 20’9” x 12’6” [6.33m x 3.83m] approx. 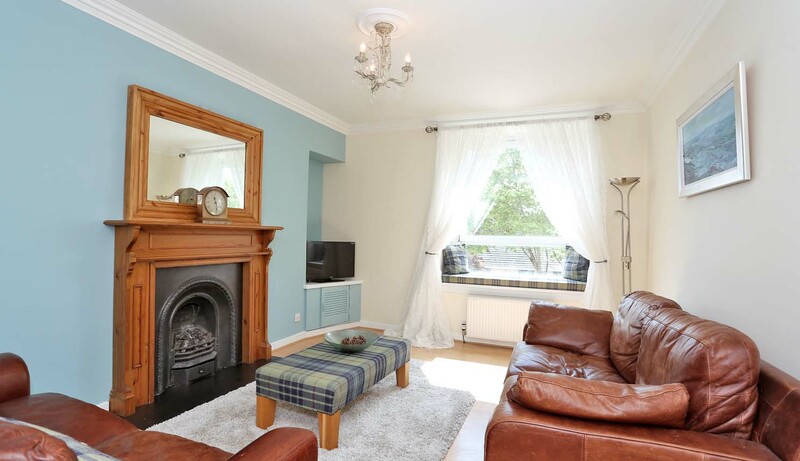 Focussed around a traditional fireplace with gas fire and decorative wood surround, this comfortable room overlooks the front with a window allowing natural light into the space and a window seat from which to enjoy the pleasant outlook. The décor is in fresh tones with laminate flooring and highlights include decorative cornicing and ceiling rose. The good dimensions means there is ample space for a large dining table making this the ideal room for both everyday life and entertaining. A low level unit houses the gas meter. TV point. Telephone point. Kitchen 12’8” x 7’8” [3.88m x 2.36m] approx. To the rear and located off the lounge is this modern, yet traditionally styled kitchen which boasts an excellent range of base and wall units incorporating opaque glass fronted cabinets and deep pan drawers edged with splashback tiling and topped with solid wood butchers block work surface with a butler ceramic sink and mixer tap. The integrated appliances include a five ring gas hob with stainless steel chimney extractor above, double oven with grill function, fridge, freezer, dishwasher and washer/dryer. Telephone point. Bedroom 3 10’7” x 10’1” [3.24m x 3.09m] approx. 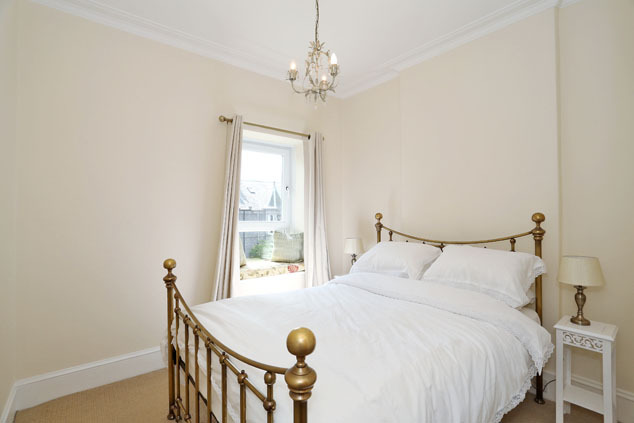 Overlooking the front of the property is this double room which is afforded lots of natural light by a large window with delightful window seat. 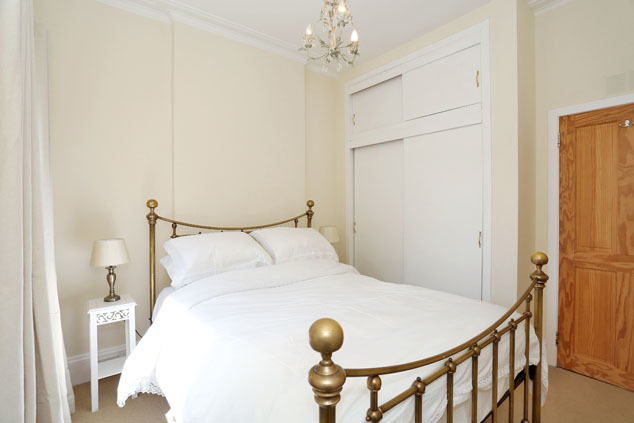 The room is finished in simple neutral décor with co-ordinating warm carpeting, cornicing and a double wardrobe with further cupboard above provides excellent storage facilities. Bathroom 8’2” x 6’5” [2.50m x 1.96m] approx. 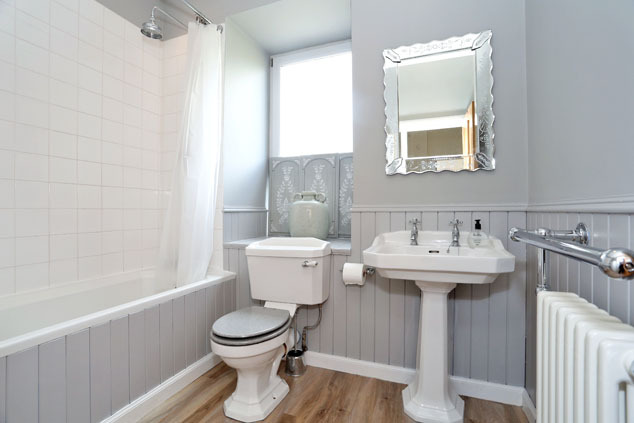 An opaque window to the rear allows lots of natural light into this stylish bathroom with a traditional Victorian style suite which sits comfortably against modern décor and finishings. The suite comprises a w.c., wash hand basin and bath with mains pressure shower above. Finishing touches include wood panelling to dado height, extensive splashback tiling around the bath and a period style heated towel rail. Upper Floor A carpeted staircase turns round to the upper floor and remaining accommodation. 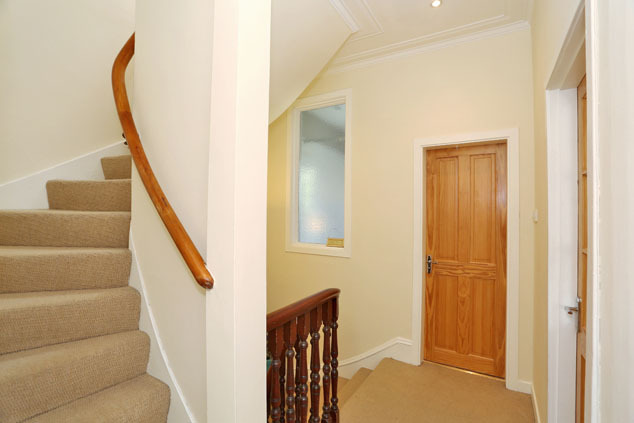 The neutral décor continues form the reception hall and a velux window focusses light into the stairwell. Excellent storage is provided by two deep cupboards. Bedroom 1 16’4” x 9’7” [4.99m x 1.94m] approx. Enjoying a peaceful rear aspect overlooking the garden, this wonderfully bright and airy room also has a large velux for additional light and enhancing fresh tones with laminate flooring. A double wardrobe with mirrored sliding doors provides excellent storage and there is access to eaves storage as well as ample space for free standing furniture. Telephone point. Bedroom 2 9’6” x 8’5” [2.92m x 2.58m] approx. 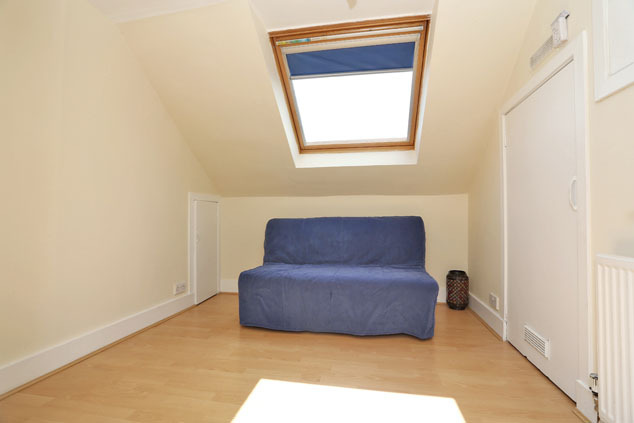 With a velux window to the front, this well proportioned room is naturally bright and is finished in neutral décor with laminate flooring. 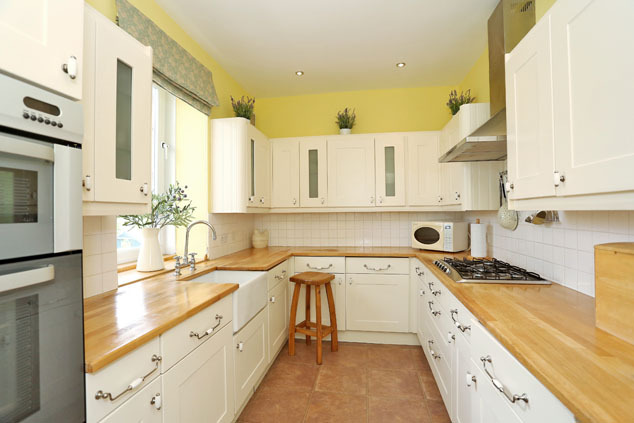 A range of built-in cupboards provide storage facilities and also house the boiler. Outside To the rear, accessed around the side of the property is an exclusive area of garden which is mostly laid to lawn and edged with borders of colourful shrubs and plants. A decorative patio area is sheltered by high walls making it perfect for outside dining and entertaining. A timber shed has outside storage and will remain. Notes Gas central heating with Worcester boiler installed August 2018, which can be operated remotely, with 10 year guarantee. Double glazing. EPC=E. The subjects will be sold inclusive of all fitted floor coverings, light fittings, curtains and blinds, along with all integrated appliances.